Dr. Christine Chung is a recognized radiation oncologist in Berkeley, California. She received her medical diploma from Harvard Medical School in 2003. After getting her medical degree, she did an internship at Mt. 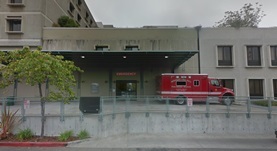 Auburn Hospital. Dr. Chung completed her medical education with a residency in radiation oncology at Brigham and Women's Hospital. She is certified by the American Board in radiation oncology and her subspecialties are: general radiation oncology, breast cancer, and skin cancer. This doctor is affiliated with several hospitals in the area, including Alameda County Medical Center - Fairmont, Alta Bates Summit Medical Center - Alta Bates Campus and Alta Bates Summit Medical Center - Summit Campus. She has published three articles in collaboration with other doctors. She is a member of the following medical groups: Brown & Toland Physicians, Sutter East Bay Medical Foundation HMO Network, and Sutter Medical Network. Besides English, she can speak Korean and Spanish. Dr. Christine Chung has contributed to 3 publications. Time to prostate-specific antigen nadir after androgen suppression therapy for postoperative or postradiation PSA failure and risk of prostate cancer-specific mortality. Chung, C.S., Chen, M., Cullen, J., McLeod, D., Carroll, P., D'Amico, A.V. ; Urology. 2008 Jan. Influence of follow-up bias on PSA failure after external beam radiotherapy for localized prostate cancer: results from a 10-year cohort analysis. Coen, J.J., Chung, C.S., Shipley, W.U., Zietman, A.L. ; Int J Radiat Oncol Biol Phys. 2003 Nov 1. Informed consent and the process of cadaver donation. Chung, C.S., Lehmann, L.S. ; Arch Pathol Lab Med. 2002 Aug.